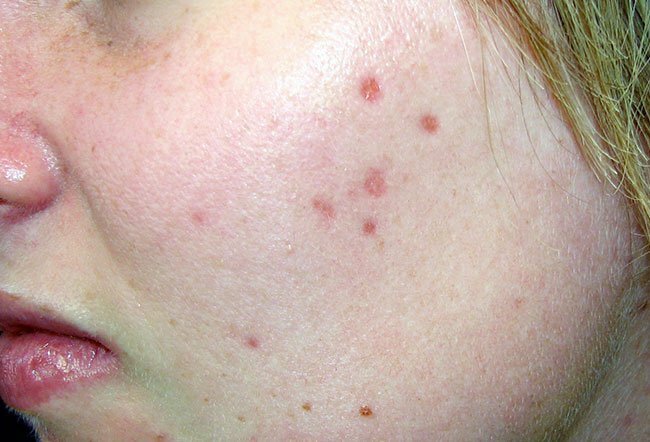 Most people will experience some form of acne during their lifetime. While some experience mild forms of acne others fight the skin disease and seek acne relief their whole life. Either way, considering how common acne is, I’m sure you have heard a myth or two about the bothersome pimple. Here are six of the most common myths about acne. Acne occurs more often in teens than adults, however that doesn’t mean grown adults don’t get acne. Often times teen acne will carry over into adulthood but sometimes acne can occur for the first time in adulthood, leaving grown adults searching for acne relief. This can be particularly frustrating because an acne formula that worked as a teen may be useless to you as an adult. Women tend to get acne more as an adult than men, mainly because of fluctuating hormones. Acne can be found in adult women when they are menstruating, pregnant, or during menopause, as well as many other determining times. Acne can also affect adult men and women who have a family history of acne or who are under a lot of stress. So to debunk this myth, acne does not only affect teens. Believe it or not, dirt and uncleanliness is not what causes acne. The bacteria that creates acne is already on your face, and it feeds on excess oil. If you’re a gardener, construction worker, or just get dirty often, you don’t have to excessively wash your face. Washing your face twice a day is enough and over-washing can actually be harmful for your skin. If you do tend to get dirty throughout the day consider using cleansing pads and also wash your hands periodically. You probably assume that greasy food and the over-consumption of candy or chocolate causes acne. It’s true that there is a relationship between diet and acne, but it’s not exactly what you think. When eaten, most foods won’t directly affect your skin, however greasy foods can aid in the progression of acne when the grease ends up on your face. If you typically have greasy skin, and eat greasy foods that end up on your face, the risk of continued breakouts is higher. If you’re seeking acne relief you should try staying away from greasy foods to see if that helps. If you don’t see a difference, try something different. Although most food isn’t tied directly to the occurrence of acne, there are of course some exceptions like milk. There is a direct correlation between milk and acne. Learn more about that here. Although popping a pimple may seem like it’s a form of acne relief, it isn’t. A common misunderstanding is that popping a pimple will release all the bad toxins that are locked away. That is a myth! Popping a pimple can actually push toxins further into your skin and squeezing the skin could result in an acne scar. Instead of popping a pimple you can put an ice cube on the blemish to reduce swelling. 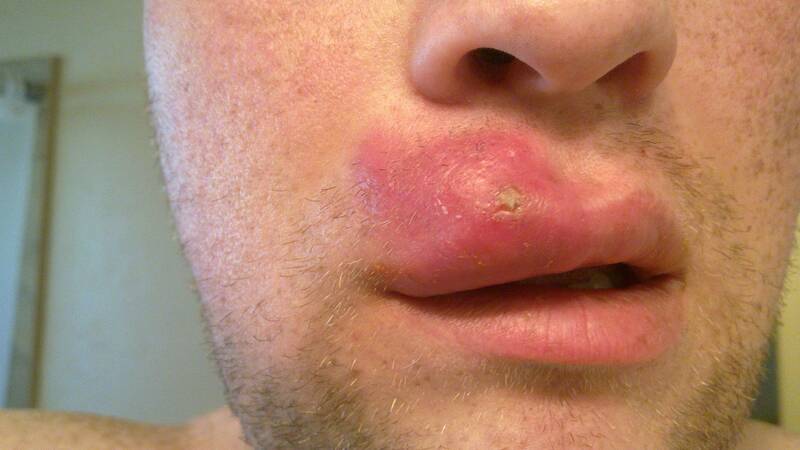 You can also use a medicated spot treatment to kill bacteria and conceal the pimple. It has been a long running myth that the sun can cure acne, which isn’t necessarily true. Sure, UV light can dry out acne, which may help blemishes heal better, but it doesn’t “cure acne.” It’s beneficial for people with acne to get out in the sun for 10-20 minutes a day, but over doing it will only harm the skin. The truth about the sun curing acne is that most people think their acne is getting better when it’s actually just less visible due to the skin being darker. As we all know, the sun can be cancerous therefore it’s extremely important to be cautious when outdoors. These are all common myths but are most likely not the cause of your acne. The causes of acne are complex and need to be understood in order to help keep skin clear. Here are some quick and easy Tips for Keeping Acne-Prone Skin Clear.